Managers are confronted with numerous challenging situations in their work life. Managing diverse interactions professionally has become a ubiquitous requirement of current working conditions in transcultural management, whilst remaining healthy at the same time. 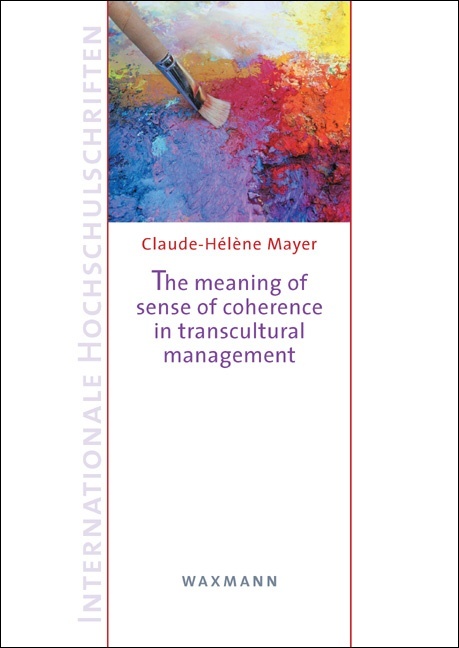 This study contributes to the theoretical debate on managerial sense of coherence, identity, organisational culture and transcultural conflict (management) in international work contexts. It responds to the question how managers could be qualified to increase their ability to activate resources and develop sense of coherence in challenging transcultural work contexts. Thereby it refers to developing intercultural competence and well-being in transcultural management settings by presenting a salutogenetic-oriented consultancy model: “Mental health in transcultural organisations” (MEHTO). This model is based on a systemic and salutogenetic, transcultural and transformative fundament and includes counselling, a managerial training series and a team mentoring approach, as well as facilitator training. This is a vital text for scientists, researchers, students and practitioners working in transcultural organisational settings, focusing on topics of promoting transcultural mental health, salutogenesis, identity, values and intercultural competence as well as organisational culture and their interrelationships. It provides a practical model of health promotion in international management and organisations and is a must for international consultants.